I like to use up my scraps when I can and these past several weeks I have been so busy in my studio that I have had lots and lots of scraps. So … when scraps take over your work surface, find something cute and fun to do with them. Gather up all your green scraps. Marble them together using your pasta machine. Roll out your clay slab on the 2nd largest setting of your pasta machine. Using 3 different sized circle cutters, cut big, medium, & small rounds from your sheet. 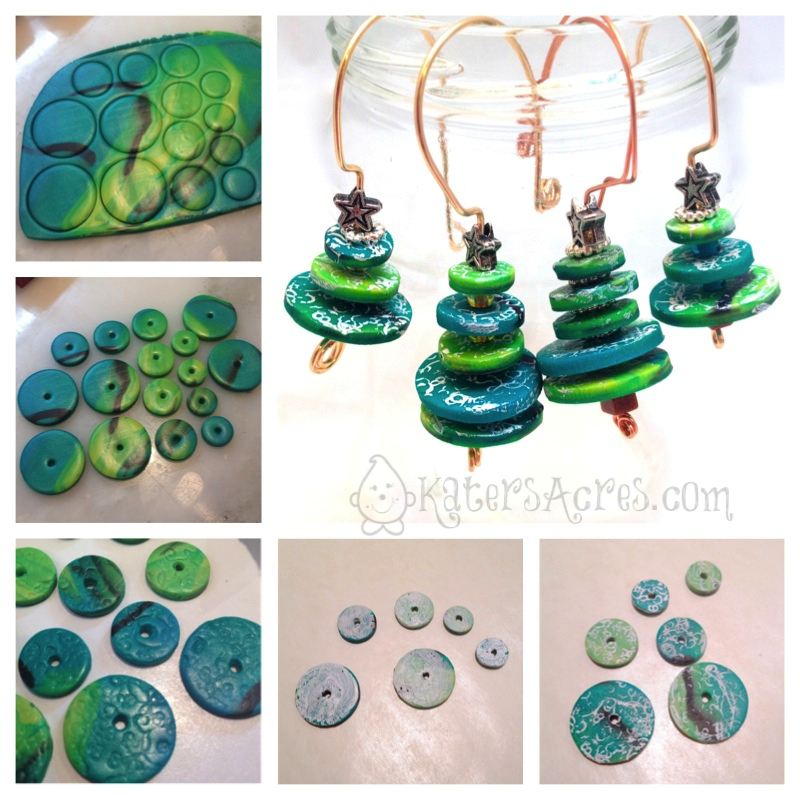 Use a knitting needle to insert holes into your rounds (they do not need to be perfectly centered, in fact they are cuter if they are not). Use a stamp or another kind of texture tool to give some texture to your rounds. Bake at 275 degrees for 45-60 minutes, covered with foil to prevent scorching. When they are completely cool, paint the textured side of your rounds with white acrylic paint. Allow it to set just a minute or so and remove access paint with a wet wipe, leaving behind the paint deep in the texture. When you have done this to all your beads, seal them with a clear coat of varnish. Once the varnish is dry to the touch, place them back in the oven at 200 degrees for about 15 minutes to harden the varnish and super-seal the rounds. Now simply string up your beads onto 18 gauge wire. Add additional elements using seed beads, base metals, sterling, or any other findings you have on hand. When all your pieces are on, bend the metal to make little “hooks” that your trees can hang from. 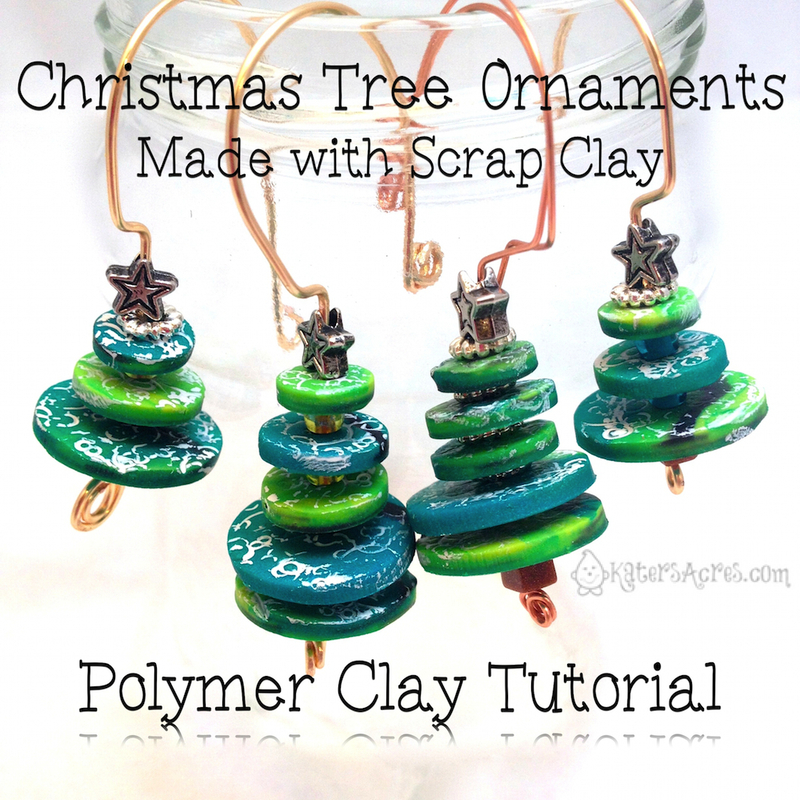 Hello,I would like to tell you that I just love getting your emails and learning how to work with my polymer clay.I read this in my emails I received on the 12-12 2013 and it said “Coming next week … details for the next FREE year long tutorial series. It’s going to be another great year of fun & claying” Could you please tell me where I got to sign up for this year long free tutorials…Kindest regards…. Thanks for asking. The person who I am doing the year long project with and I decided that we needed to get more “ducks” in a row so to speak. 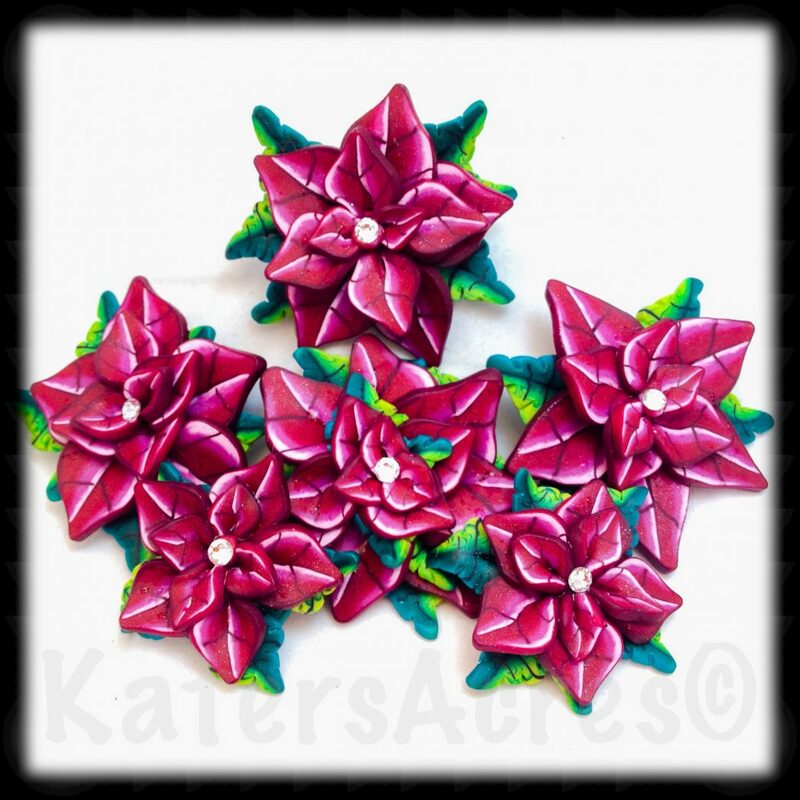 So the announcement will be in September/October 2014 for a HUGE 2015 project with a big polymer clay superstar artist!